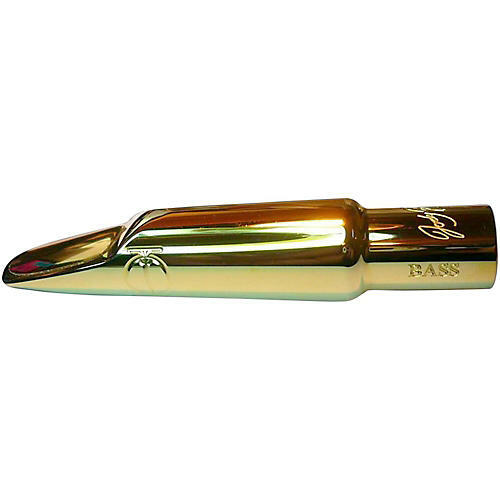 What Is the DV BASS Saxophone Mouthpiece? The DV BASS is a state-of-the-art bass sax mouthpiece, finally. The DV BASS will appeal to the bass sax player looking for a mouthpiece that give the bass sax the quicker and more immediate response of the Tenor sax. The mouthpiece is based on the popular DV model but has several modifications, the most significant being a very deep chamber tuned to the bass sax and a new development called the hyperbolic chamber that rounds out the tone. 1. To create the most efficient sax mouthpiece possible. That means that there are more harmonics present in the sound and therefore the projection of this bass sax mouthpiece is huge. 2. To give a more free blowing experience to the bass saxophone. 3. To have a big fat midrange and bottom end while having more clarity of tone than is usually present in BASS sax mouthpieces.